The Go Chicago Card is a great way to save some money if you plan on doing a whirlwind tour of Chicago attractions. At most of them, the Card also allows you to skip long lines. Tendency to rush through numerous attractions to "get your money's worth"
With the Go Chicago Card, you get free admission to a large number of Chicago museums, tours, and attractions, with the added benefit of in some cases being able to skip standing in long ticket lines. Of course "free" is a bit of a misnomer since you have to pay for the card, but my analysis of semantics aside, the bottom line is that it's a chance to save some serious money. You purchase a card good for either 1, 2, 3, 5 or 7 days, and within whatever time frame you choose you can visit literally dozens of select destinations and once per day until the card expires. All the major attractions and museums are included, such as the Art Institute and Museum of Science and Industry. Here's a list of all the included attractions. 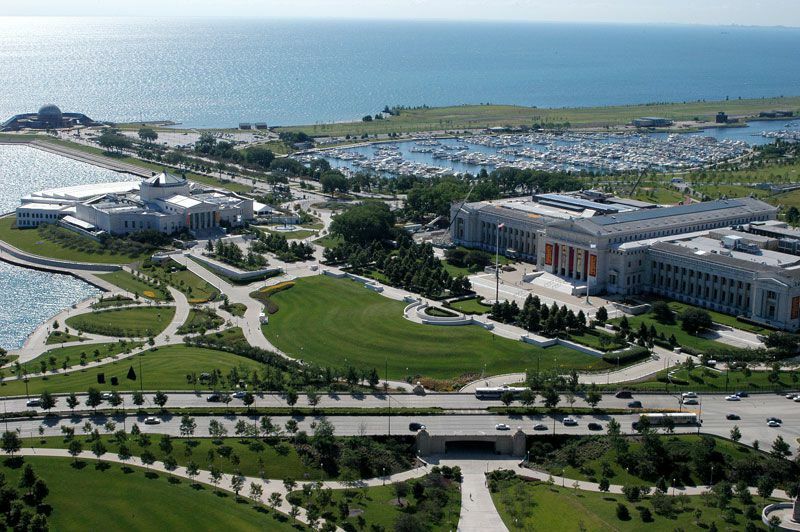 Let's say you wanted to visit the Shedd Aquarium, Field Museum, and Adler Planetarium -- a logical one-day itinerary since they are all located on Chicago's Museum Campus and within walking distance of each other. With a Go Chicago Card, the one day pass will save you $7 per person as opposed to paying the individual admission prices at each attraction -- not to mention being able to waltz past the long lines. The savings obviously increase with the number of days and the number of places you attend. There are a couple of downsides, however. For one, you might have the tendency to rush through exhibits to try and attend as many places as possible to get as much value for the money as you can. Another minus, the card is good only for consecutive days. So, for instance, if you buy a 3-day card but day 2 is going to be spent visiting Aunt Mildred, then it's a waste. This can obviously be avoided with some advanced planning. If you're wanting to cram a lot of attractions and tours into your trip to Chicago, the GoChicago Card is definitely worth a look.